Anyone who isn’t living on an unlimited budget and needs professional help overcoming a problem with substance abuse or addiction is probably concerned with the cost of rehab. Fortunately, there are some provisions in many insurance plans that provide for quality drug rehabilitation coverage and many states mandate that insurers at least provide coverage for the initial detoxification phase of treatment which can significantly offset the total cost of inpatient drug rehabilitation. We can help you find a rehab that accepts your coverage. Call 1-800-895-1695 for help. 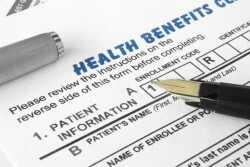 Is Insurance Coverage Available for Inpatient Rehab? The primary answer to this question is–YES. There is insurance coverage for inpatient drug rehabilitation but the level of coverage or the level of services that are covered vary from one plan to the next. Most states do not have any major laws in effect that mandate insurance coverage for drug rehab–at least not yet anyway. Laws and insurance requirements are changes rapidly, especially with the changes that have come from recent healthcare reform acts. In fact, the Affordable Care Act which will take effect in January of 2014 will make many adjustments to the coverage that is made available to those who required drug treatment. Some states do have Parity laws in effect. The Parity Act states that any employer of 50 employees or more who offers coverage for health benefits must treat mental illness or substance abuse in a nonrestrictive way. This means that these conditions must be treated the same way that any other condition such as a disease or similar health condition would be treated under the insured’s policy. Unfortunately, the act is rather open to various clauses which can still make receiving adequate coverage to pay for the cost of inpatient rehab difficult for some. For instance, the Parity Act does not require that group health plans offer mental or substance abuse coverage…just that if they do, it must be provided without Parity or in a similar way that all other healthcare coverage is provided. Many people who suffer from addiction do not have insurance coverage at all. If you do not have coverage to help you pay for inpatient drug rehabilitation, there are still treatment options available for you. Affordable treatment can be found in many free and sliding fee based treatment programs that offer counseling and therapy as well as medical intervention services to treat addiction. We can help you find affordable rehab, call 1-800-895-1695.